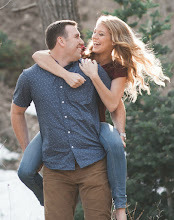 Continuing the series of Our Story posts, I wanted to share a few of the funny experiences we had while we were dating! They're pretty short and sweet stories, but they are some of our favorite memories that we still look back on and laugh about. As I mentioned in the How We Met post, Tayler and I met at a youth conference that we were both asked to help with. One of the days was solely dedicated to a service project, in this case clearing a firebreak for the city of Woodland Hills. This meant that we were to clear brush, cut down scrub oak, remove dead trees and trim low hanging branches to make it more difficult for a fire to catch. Somehow Tayler made his way up to the place where I was working, a steeply sloped area near the base of the mountain. There was a medium sized dead tree that needed to be removed, but I thought we'd wait for someone with a chainsaw to come cut it down. Tayler didn't want to wait for a chainsaw though. In a macho move, he jumped to grab the highest branch that he could, planning to use his weight to break the trunk. I saw it coming. How could you not?! I was trimming branches a few yards away, but I stopped to watch knowing that there could be no happy ending to this scenario. In hindsight he admits that his plan was a little flawed. 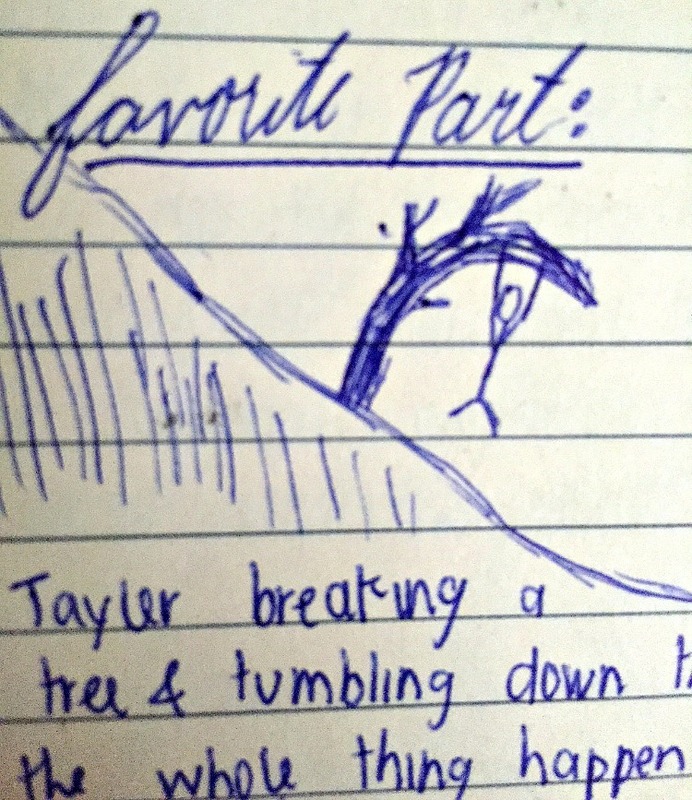 With a loud crack the tree broke and Tayler went tumbling-pretty viciously-down the hill. The only thing that was missing was the "As you wiiiiissssshhhh" line. Through my laughter I ran after him to see if he was ok. He hopped up all chipper, like it was no big deal but he's since admitted to me that his leg and back got super bruised. He also mentioned that his pride took the biggest hit. We fell for each other pretty quickly. After the second night of the conference, July 11, 2014, Tayler mentioned to me that since it was July 11th the 711 gas station was giving out free slurpies. I'm not a fan of slurpies, but I wanted to spend more time with him so I agreed that it would be fun to get some. We headed out to the gas station, chatting the whole way. However, once we got there we saw a big sign on the door that read, "Out of slurpies". We read it and looked at each other awkwardly, wondering what the next step would be. "Well we could try the 711 in Provo?" Tayler offered. 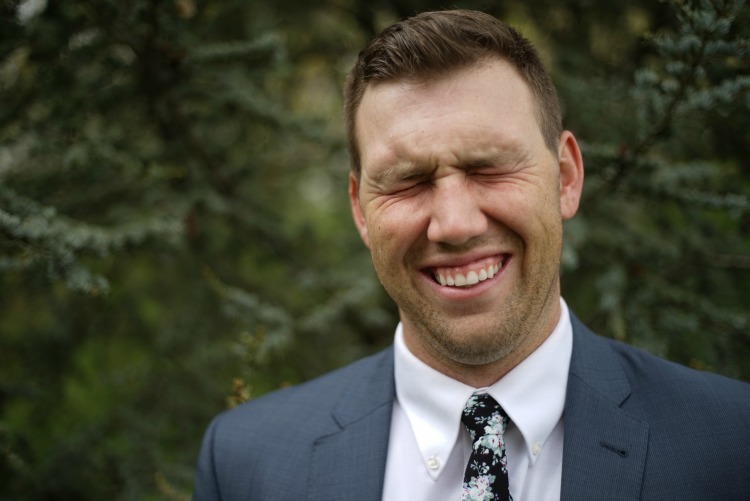 Now I felt guilty because I didn't want him to drive all the way to Provo for a slurpie that I wouldn't enjoy, so I admitted that I don't actually like slurpies. He looked at me with an adorable sheepish smile and said that he doesn't like slurpies either. We were both pretending to want one so we could hang out longer. We laughed about it, drove home, and ended up picking apricots from a neighbor's tree and talking for three hours. Five months later he would propose to me under that same tree. I don't think Tayler will ever forgive me for this one. He still brings it up, two years later. For some reason, even after we'd been dating for a few weeks, I had the hardest time remembering Tayler's name sometimes. Usually I'm good with names, but for some odd reason my brain took an extraordinarily long time to grasp T-a-y-l-e-r. In my defense, I don't think he looks like a Tayler? Does anyone else think that? Anyways, as you've probably already guessed, when I brought him over to meet my family for the first time I introduced him as "Chris." Chris was another counselor at the youth conference. Eek. Tayler corrected me with a laugh and honestly I think it worked out in his favor. My dad was so impressed by how well he handled it he immediately liked him. Tayler's family dynamic is an interesting one-he's a surprise child, the youngest by a 10 year gap. Each of his 6 siblings have kids, so the first time I went to a family party I met 28 (as in TWENTY EIGHT) nieces and nephews. One of those nieces is Michaela, who was 9 at the time. She's the cutest, always reading and singing, one of those little girls who are a bit too smart for their own good. I had met her before because we had taken her on a date with us to see a play the previous week. It was August at the time, all the adults were on the balcony looking over the lawn while the kids played below. Tayler and I were up on the balcony with his brothers and sisters when Michaela announced from down below that she saw us kiss while we were on the date. She then yelled to Tayler, "You told me she was just a friend!" I looked at Tayler in disbelief, eyebrows raised, as his brothers joined in a chorus of "Ooooos" because they knew he was in trouble. Tayler muttered something about being thrown under a bus and had some explaining to do later. 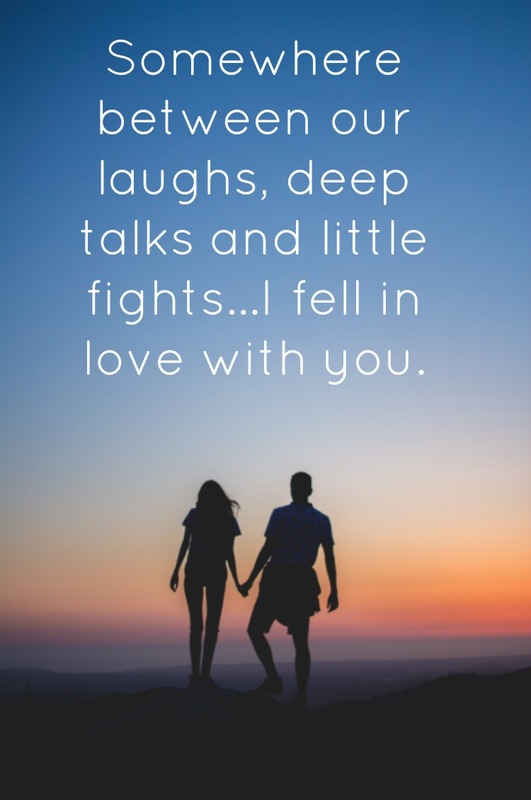 Like I said, these stories are pretty simple but we cherish them because they are our first experiences of really laughing together-those good, long, borderline insane laughs that make memories. In case you missed the first post, you can read about how we met here.